QTC Policies - Queensland Tennis Centre - Play Tennis, Court Hire, Coaching, Fixtures - Brisbane, QLD. What should you bring to tennis? I, (or if you are under the age of 18, your parents/ guardian), hereby indemnify the Queensland Tennis Centre and staff from any responsibility and/or claim for any possible injury, damage or loss during my attendance at tennis training and agree to the above Terms and Conditions. Parents/Guardians are encouraged to watch. However, we do ask that they do not enter the court unless requested by the coach (excluding Hot Shots Minis where parent participation is required for the younger age groups). QTC feels that it is extremely important that only positive reinforcement is used by players and spectators. Coaching at the Club: Coaching does not go ahead on public holidays. Coaching at schools: No school = no coaching. Fortnightly – Fortnightly payments. QTC uses specific schedule dates, if you require alternative dates please contact us. Fees must be paid in full (or committed to via Direct Debit) prior to commencing any Group Class, Private Lesson, or Fixture Program. Coaches and Administration Staff reserve the right to refuse participation in any Group Class, Private Lesson, or Fixture Program if your account is not up to date. All QTC players participating in Group Classes, Private Lessons, or Fixtures Programs must be a valid QTC Club Member ($39 annually). This will be included in your first Direct Debit, or as part of your upfront payment. Direct debit** please note Exidebit may change is fees at anytime, please refer to Ezidebits terms and conditions. 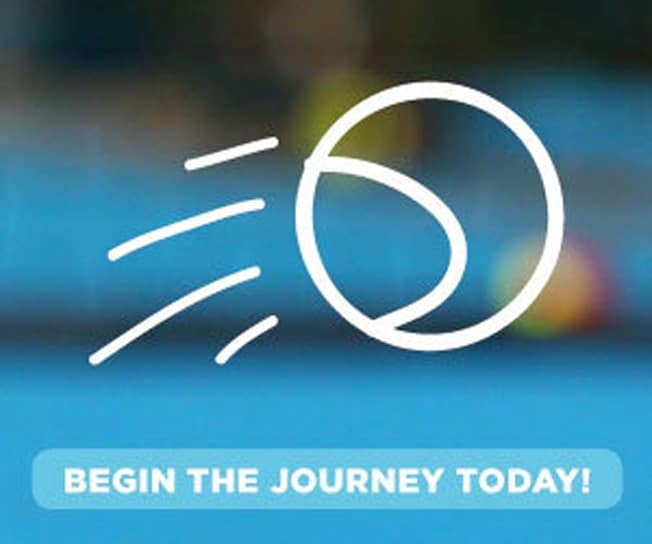 Your tennis enrolment will be continuous (from term to term) unless four (4) weeks notice is given in writing via email (bookings@qldtc.com.au) to cancel your enrolment and direct debit. Ezidebit transaction charges: $0.66c for bank accounts per transaction or 1.91% (minimum of $0.88c) for Visa/MasterCard per transaction. Unsuccessful payments will be automatically rescheduled for the following week unless another resolution is reached with The Queensland Tennis Centre. IMPORTANT: Ezidebit will charge a rejection fee for all failed direct debits – if your card has expired, been lost, stolen or otherwise please notify the Club immediately to make alternative arrangements and avoid the rejection fee. All payments are non-refundable. See Make Up Lessons. Whilst every step is taken to arrive at the correct decision, please remember QTC has no control over the weather. In the event of a lesson being washed out, please book in for a Make Up Lesson at the QTC. We will be updating our facebook page and sending SMS communication to the primary contact. Please do not make assumptions about the weather; an unexplained absence will forfeit the opportunity for a Make Up Lesson if the session goes ahead. The Queensland Tennis Centre wants to make sure that you get the most out of your time with us, and as such we utilise Make Up Lessons for any missed Group Classes, and/or Private Lessons. We require 2 hours notice via phone (3214 3800) to advise that you or your child will be unable to attend the booked lesson. Insufficient notice for an absence will forfeit the opportunity for a Make-up lesson. Make-up lessons will be now on the following days and bookings will be essential through the Pro Shop. We may also be able to place you in another squad/ session, not more than 2 weeks in advance (only if spaces are available). Make up lessons must be completed on the days above (or as arranged with Tennis admin) by week 2 of the following term. Unfortunately we do not offer any credits or refunds for sessions missed. All players paying via direct debit will be automatically re-enrolled in the same program at the commencement of each new term (including a new year) unless otherwise advised by the parent/guardian as per our cancellation policy (below). All cancellations must be made in writing to: bookings@qldtc.com.au for Group Classes and Private Lessons. Any outstanding Make up Lessons must be completed within the cancellation periods stated above, any remaining Make Up Lessons will be forfeited. Transfers between Group Classes must be made in writing to bookings@qldtc.com.au. Participants can make up to 2 Class Transfers in any term. Transfers from Group Classes to Private Lessons are treated as cancellations and require four weeks notice (as per our cancellation policy). Transfers from Private Lessons into Group Classes are treated as cancellations and require two weeks notice (as per our cancellation policy). All QTC players participating in Group Classes, Private Lessons, or Fixtures Programs must be a valid QTC Club Member ($39 annually). Court allocation for Group Classes, Private Lessons, and Fixtures Programs are subject to change without notice. Participants are welcome to make requests for specific courts, but this allocation may change without notice depending on court requirements (e.g. tournaments, weather, availability etc.). By participating in any Group Class, Private Lessons, or Fixtures Program at the Queensland Tennis Centre or affiliated sites you are automatically agreeing to our companies policies as outlined in this document. Management reserves the right to alter/update policies without notice.